The BC Liberal Party is calling on Elections BC to add clearer instructions to the ballot in the upcoming referendum on proportional representation. British Columbians who support the stability and accountability of our current First-Past-the-Post (FPTP) democracy have the right to vote only on Question 1 of the referendum, and choose not to express a preference on the models of proportional representation proposed in Question 2. They deserve clear instructions, right on the ballot. I am writing on behalf of the BC Liberal Party to express a concern regarding the upcoming referendum. That is the instructions to be provided to voters on the ballot. First of all, I want to acknowledge the position in which Elections BC has been placed by the current government’s approach to the referendum. The delay in revealing the rules of the campaign, the process that produced those rules, and the confusing question and structure on the ballot have made your task all the more challenging. We understand that voters who vote only on Question 1 will have their ballots considered valid. Voters may legitimately express no preference on the models of proportional representation listed under Question 2. You may vote on Question 1 and choose not to express your preference on Question 2. We are hearing from many British Columbians who support the stability and accountability of the current first-past-the-post system that they plan to vote only on the first question. We believe they deserve clear and unmistakable instructions on the ballot that they have this right. It is rapidly becoming clear that awareness of the referendum among voters is extremely low, and the time to inform British Columbians about the choice they face is rapidly running short. 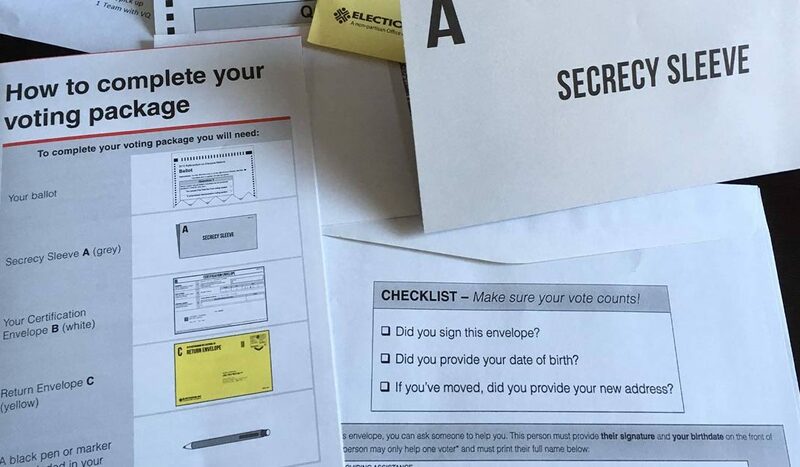 Adding clarity regarding that choice to the ballot instructions as we are requesting is a simple step Elections BC can take to make this referendum a little clearer, fairer, and more accessible.